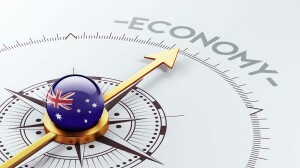 Each month the RBA offers its perspective on how Australia Inc. is tracking when it releases its Chart Pack. 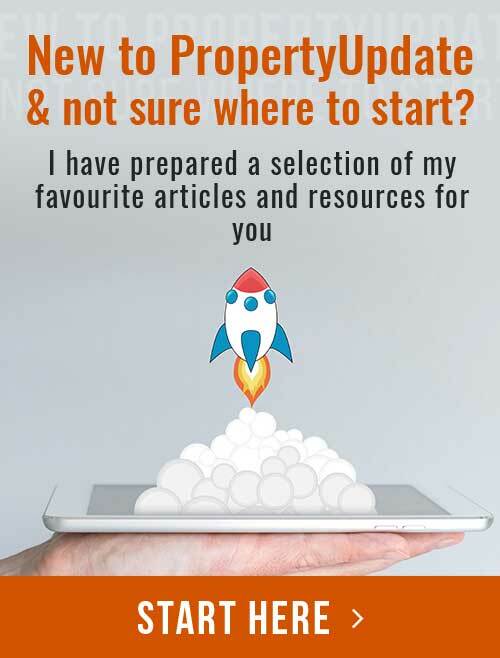 I know that charts aren’t everyone’s cup of tea, but I review these each month as part of my regular research for myself and our clients. 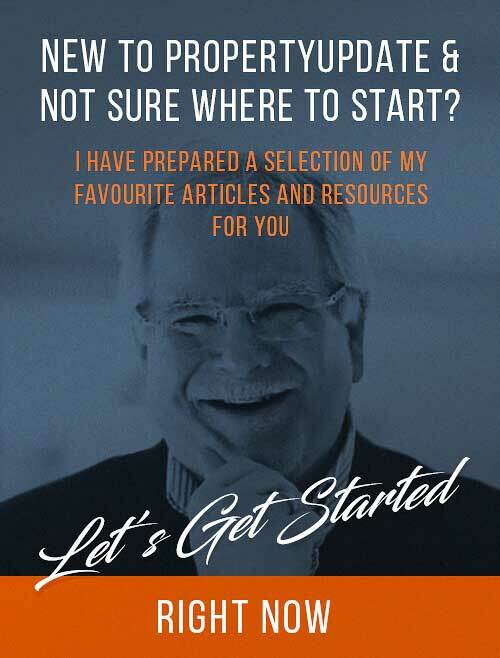 So here’s a stack of charts and some of my thoughts regarding some of the factors that will impact our economy and the property markets. 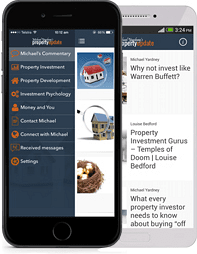 This is essential reading for all serious property investors, so here goes…. 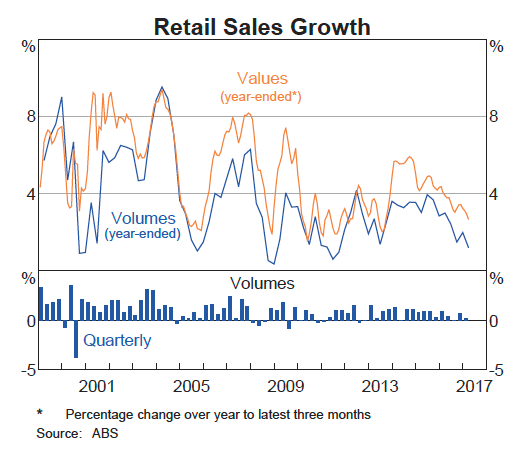 Overall Australia’s economic growth is spluttering along at a level that many would characterise as just being above stalling speed. 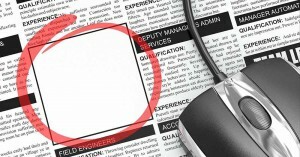 This has led the ANZ to suggest that there is a one-in-four chance that the RBA will need to lower interest rates again, with the trigger being a notable rise in the unemployment rate. It is likley Australia’s GDP will grow a only 1.8% over 2017 with a modest acceleration in 2018, but to just above 2.5%. 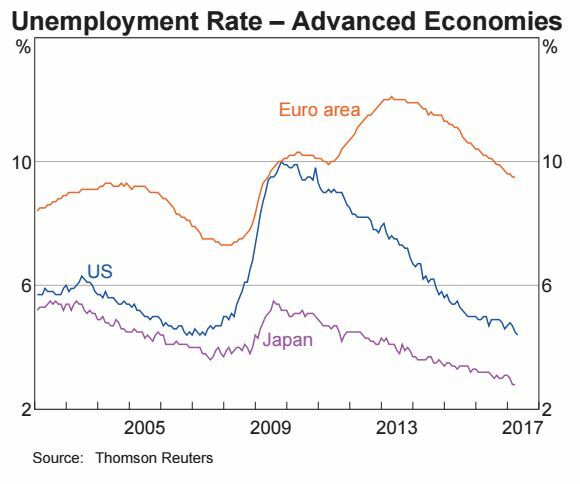 The problem is this outlook is not robust enough to have any material impact on the unemployment rate. The sluggish household sector is a concern. Household consumption has growing at around 2% helping our economy, but this has come from running down savings rather than from higher wages. Poor consumer confidence suggests there will be a reluctance to continue running down the saving rate. 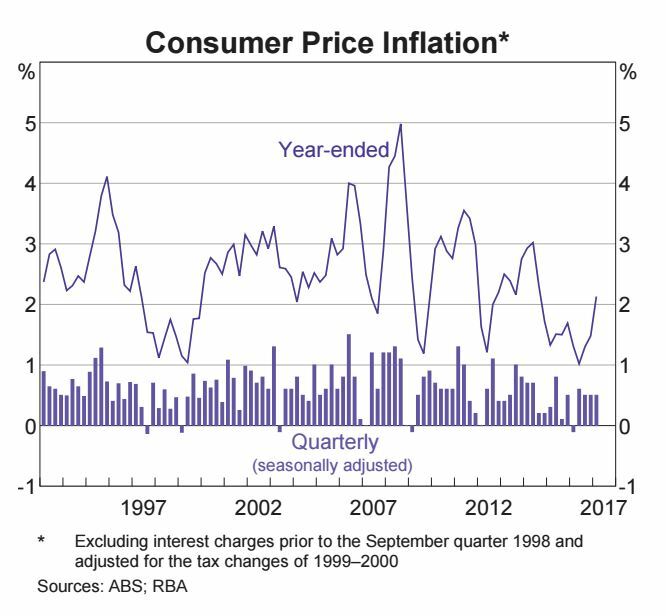 The continued low growth / low inflation environment presents a significant policy challenge for the RBA and Government given the current low cash rate, fiscal deficits and high household debt. 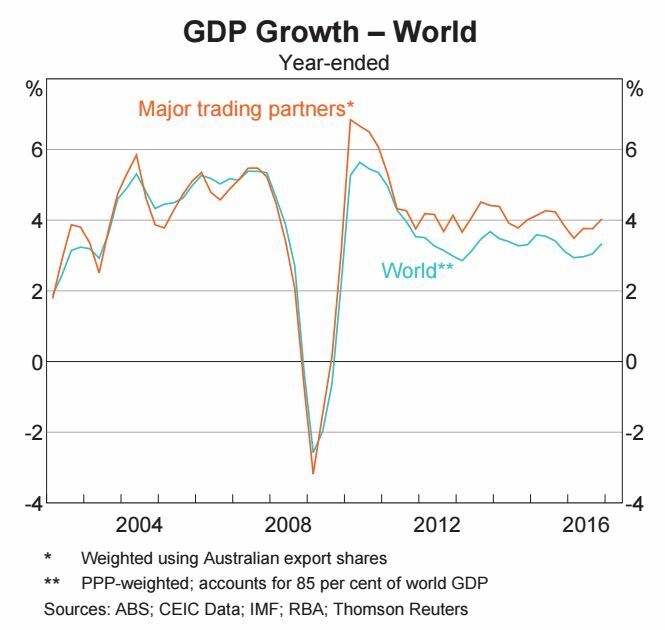 The economic growth of our major trading partners is forecast to be around its long-run average this year before easing slightly in 2018. The strengthening in economic activity has been broad based. Economic growth in China has retained its earlier momentum in 2017, and growth in the major advanced economies picked up throughout 2016. The U.S. economy started 2017 out with a whimper, but it wasn’t quite as weak as first thought. The government revised up its January-March growth reading to a rate of 1.2% — better than an earlier estimate of 0.7% but well below President Donald Trump’s ambitious growth targets. 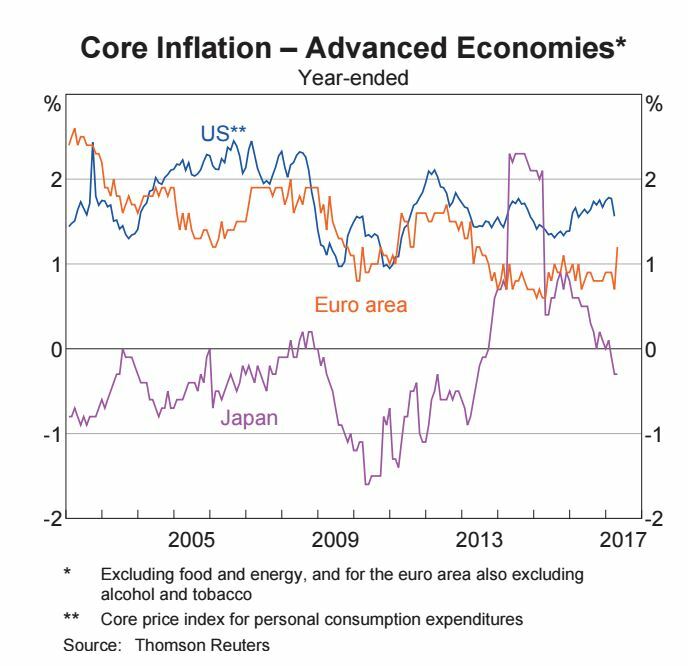 Headline inflation in the advanced economies rose sharply in late 2016 and early 2017, following the increase in oil prices during 2016. However, with oil prices now declining, headline inflation also appears to have peaked recently and is likely to decline in coming quarters. While core inflation generally remain low, there are a number of factors suggest underlying inflationary pressures are likely to pick up in the period ahead, including the ongoing tightening in labour markets in the major advanced economies, which has seen some measures of wage growth edge higher. While many of the previous concerns of a world recession have faded, we’re in a low growth, low inflationary, low interest rate environment which is likley to remain that way for some time. 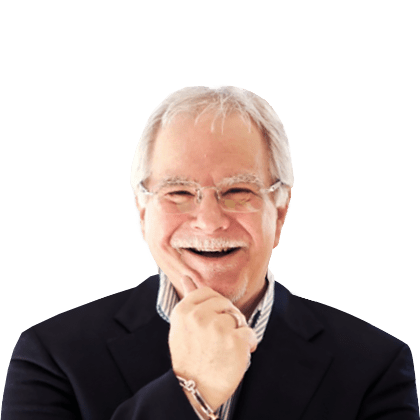 Most central banks have been trying to stimulate their individual economies with low interest rates, but in general this has been to no avail. 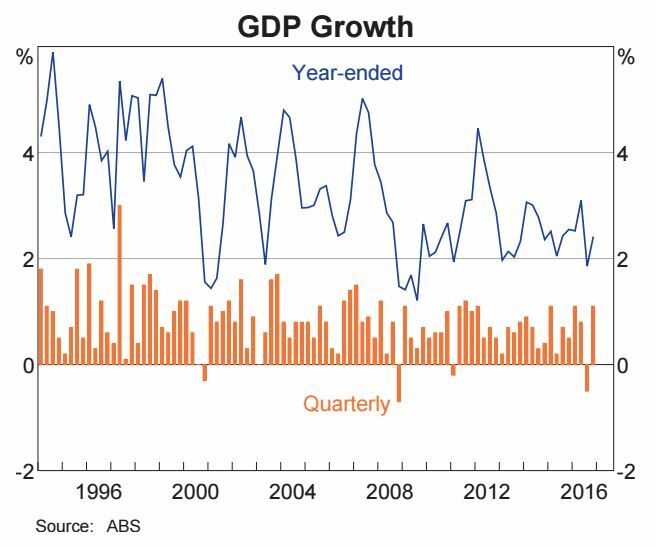 Australia’s economy is a relentless growth machine, notching up its 103 consecutive quarter without a technical recession in 2017’s first quarter. But that record-breaking run masks just how fragile Australia’s growth drivers are. March quarter GDP growth was up by 0.3 percent, which is a soft outcome for Australia, but was significantly better than a quarter of negative growth (which was the fear). However, there has still been a noticeable slowing in Australian growth momentum over the past few months. Annual growth is currently around 1.7 per cent, which is well below the long term averages, more in line with the lower growth environment the rest of the developed world has experienced since the GFC. 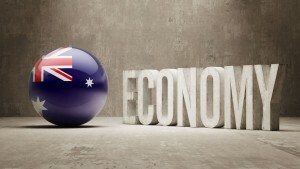 Economic conditions continue to vary across the states. 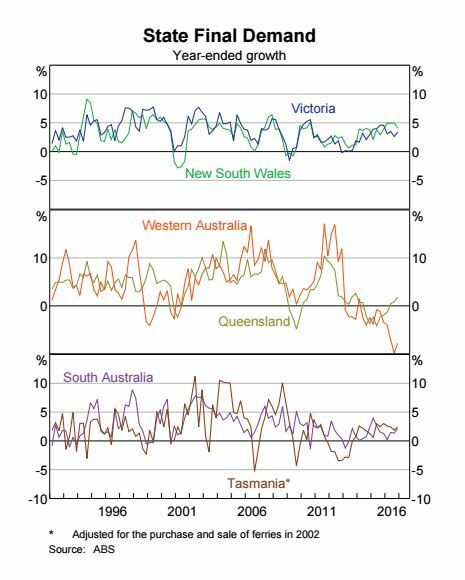 And like the rest of the world, Australia is in a low inflationary environment which is of course one of the reasons the RBA can keep official interest rates so low. The sluggish household sector is a concern. 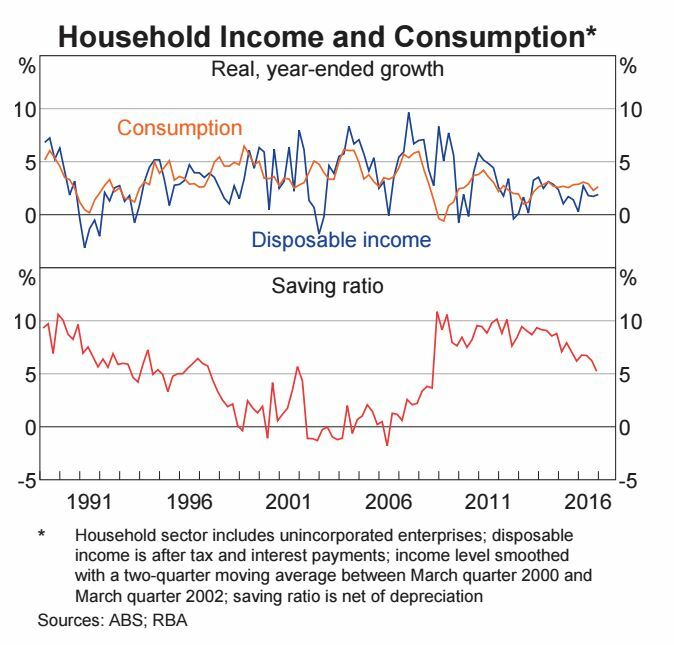 Household consumption has growing at around 2% helping our economy, but this has come from running down savings rather than from higher wages. 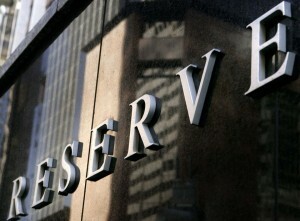 Poor consumer confidence suggests there will be a reluctance to continue running down the saving rate. However household income growth has remained weak, and there has been a further decline in the household saving ratio. Low growth in household disposable income continues to weigh on spending. Households’ perceptions of their personal finances have declined since late 2016. 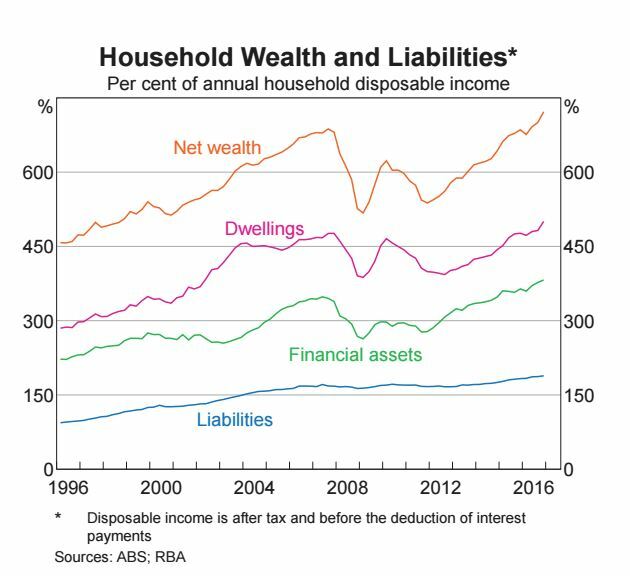 Having said that Australian households are amongst the wealthiest in the world, with our assets (primarily in real estate) increasing in value faster than our liabilities. The graph below shows the interesting effect of our current low interest rate environment. 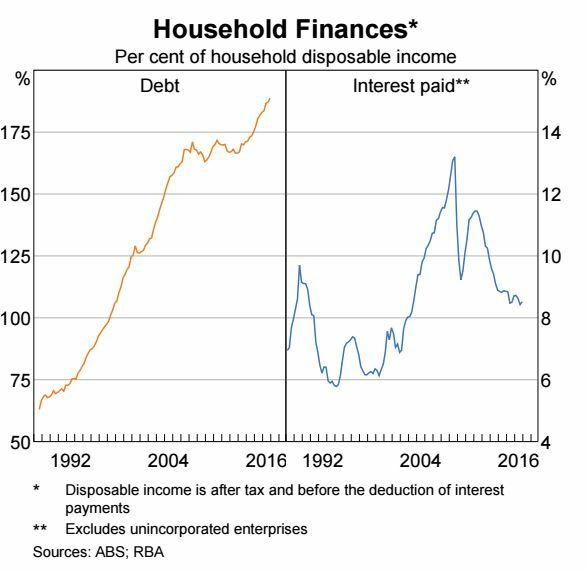 Despite record high levels of household debt, falling interest rates means that this debt is more affordable than ever with average household debt as a percentage of disposable income being at an affordable level. However consumer sentiment remains fickle, and currently more people are pessimist about their future than people who are optimistic. 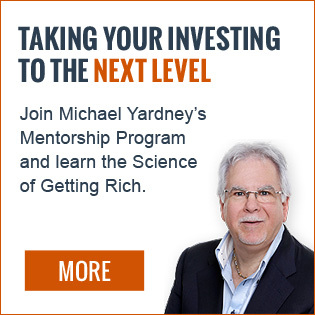 When people don’t feel confident about their jobs or their future, they don’t spend. 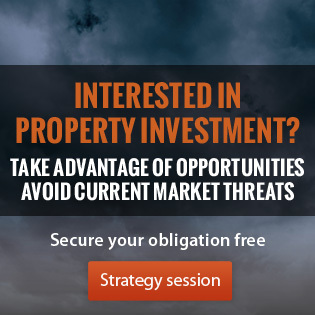 As our mining boom slowed down the government facilitated the current property boom by encouraging the non-mining economic sector, in particular the building industry, to take up the slack. This has mostly come through the high-rise apartment building boom, which now seems to be coming off the boil. 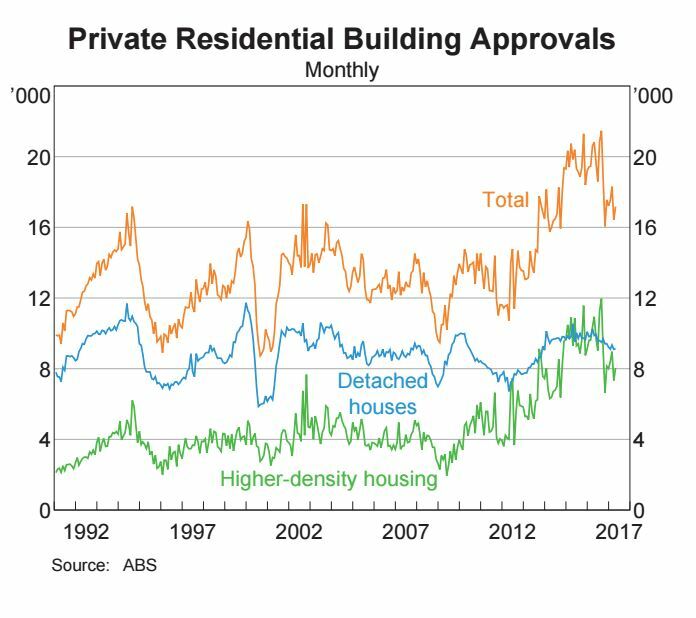 This is a good thing as supply of new apartments is currently running ahead of demand, particularly in the Melbourne and Brisbane CBD’s. 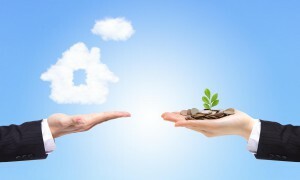 The two hottest housing markets in the nation have slowed down over the last few months with the CoreLogic Hedonic Home Value Index reporting combined capital city dwelling values fell by -1.1% in May with values declining in all capital cities except for Brisbane and Adelaide. 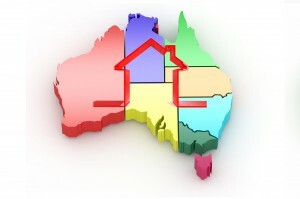 Over the past three months, values rose 0.4% with rises in Sydney, Melbourne, Brisbane and Adelaide but falls elsewhere. Across the individual capital cities, the annual change in home values have been recorded at +16.0% in Sydney, +15.3% in Melbourne, +2.1% in Brisbane, +2.2% in Adelaide, -6.0% in Perth, +13.6% in Hobart, -2.3% in Darwin and +8.4% in Canberra. 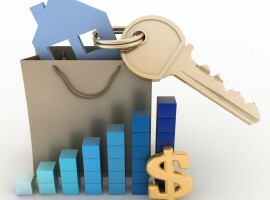 Housing finance and credit data confirm investor interest in the housing market has started to drop off. 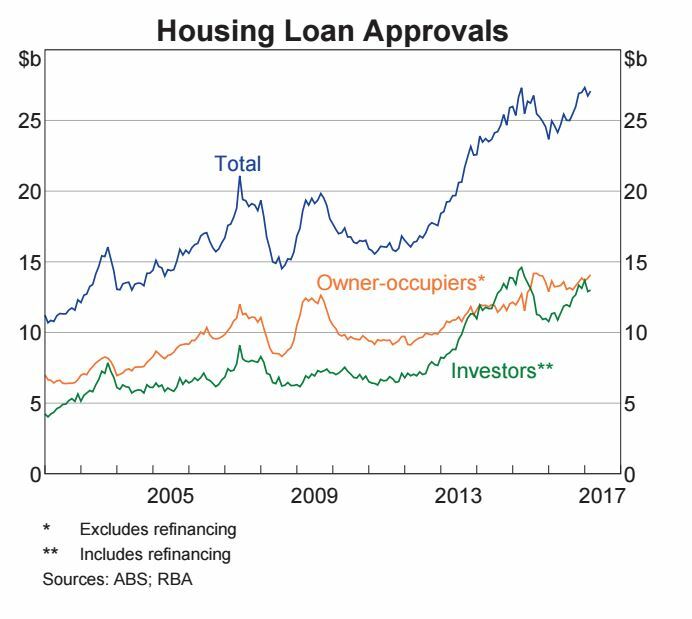 Affected largely by Australian mortgage lenders rationing credit to the investor segment, the lifting of mortgage rates is also starting to bite . Our housing markets are very dependent on consumer confidence. 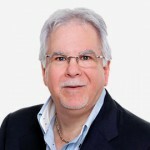 There is a direct link between consumer confidence and housing turnover and rising prices. 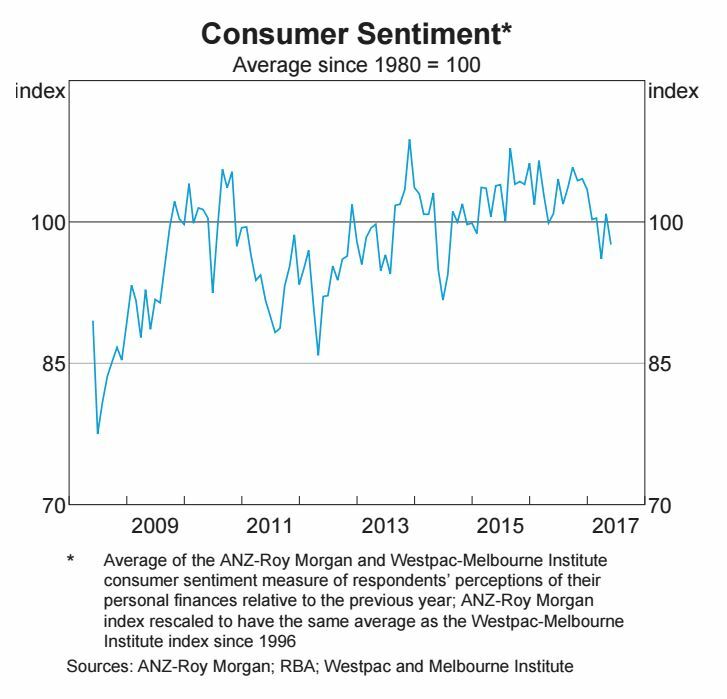 Consumer sentiment has fluctuated widely recently, and has slumped recently as more of us have become pessimistic. 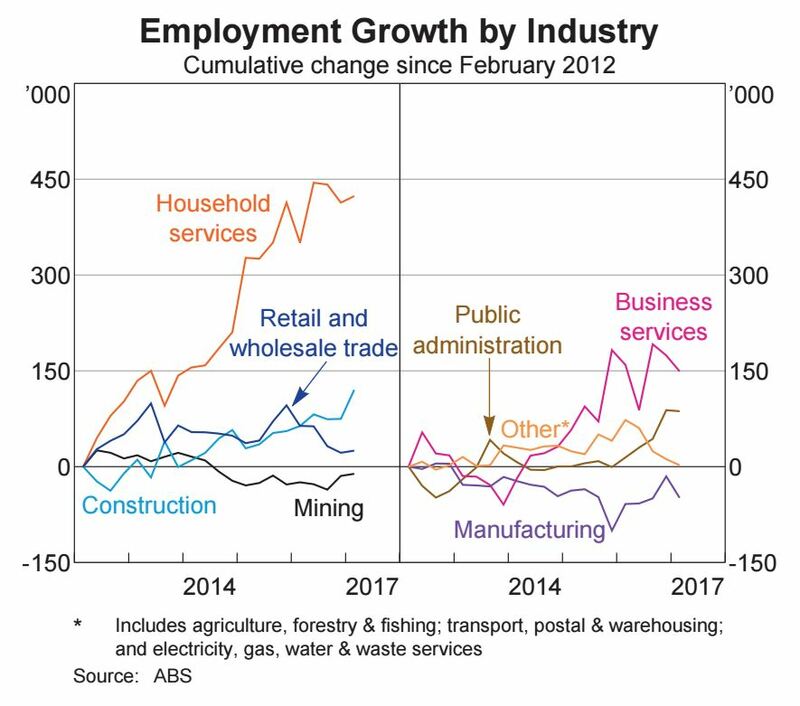 Australia’s labour market strengthened in early 2017, and employment growth is lifting after a sharp pullback in 2016 and the unemployment rate — while volatile — also appears to be edging lower. But this statistic is a little misleading since it understates the degree of labour market slack due to the large number of part time jobs that have been created with many Australians working fewer hours than they would like, while others have been discouraged from looking at work at all. 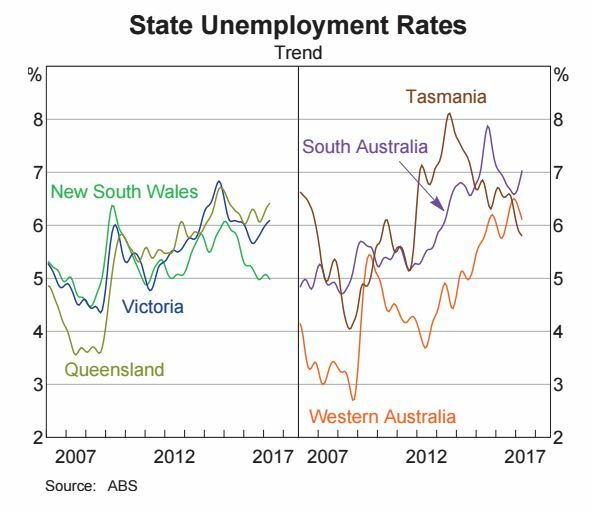 This has created a situation where wages growth remains low and unemployment varies considerably between states. Of course the states with highest job growth and lowest unemployment have the better performing property markets. The following graph clearly shows how the service sector is where the jobs growth is occurring. 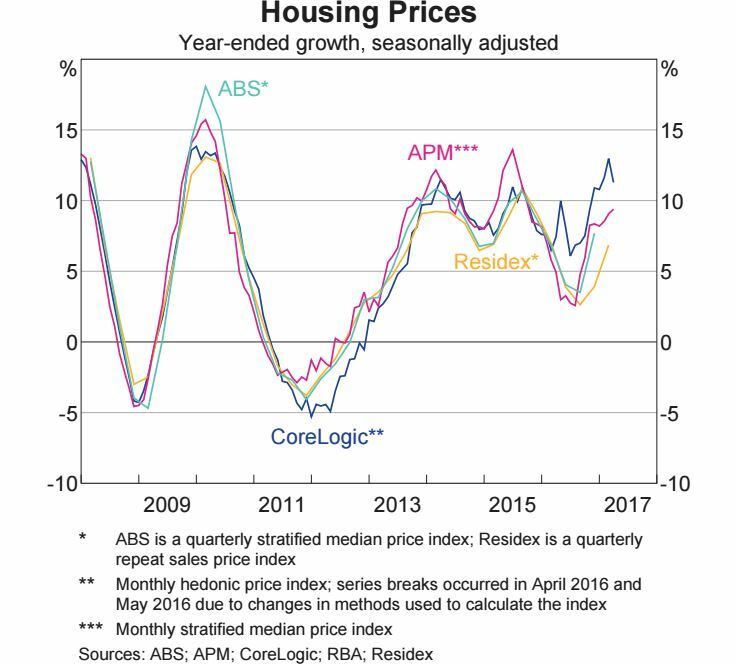 In turn this is where wages growth will occur enabling people to upgrade their homes, pushing up property prices. 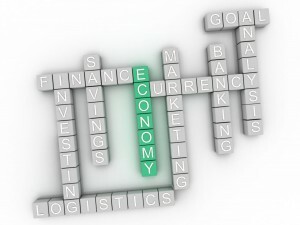 All in all, our economy is sound and we’re now in a period of low economic growth with low inflation, low wages growth and low interest rates. We were sheltered from this by an extraordinary mining boom and our economy’s resilience to transition from this has been surprisingly impressive. 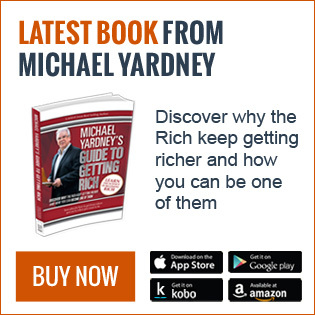 Which means the RBA is unlikely to increase interest rates for a while – in fact they may lower them to stimulate our economy. 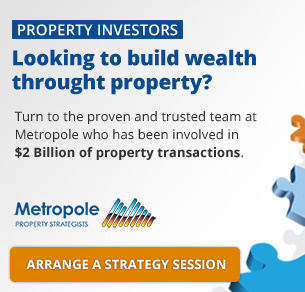 But the banks, under pressure from APRA, are raising their rates and at the same time causing a “credit squeeze” in an attempt to slow down the Melbourne and Sydney property markets. 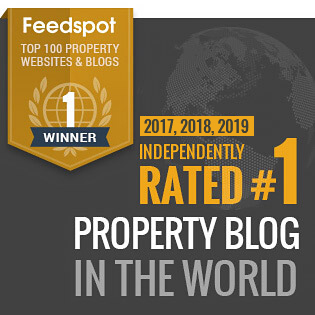 This means as property investors for the foreseeable future we can’t expect the type of strong capital growth in property prices we experienced recently. 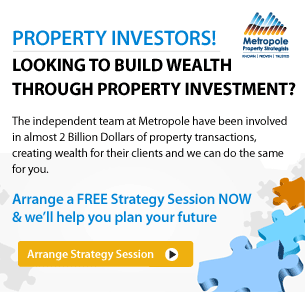 By the way…this doesn’t mean it’s the wrong time to invest in property. 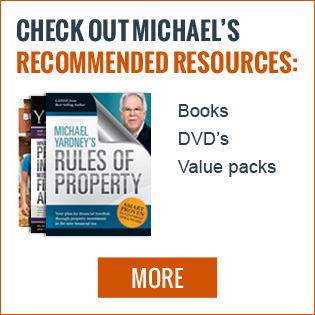 What it does mean is that careful property selection is critical as you can’t count on the market to do the heavy lifting. 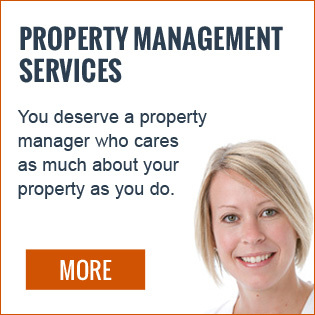 It also means a more stable property environment without the booms and busts.